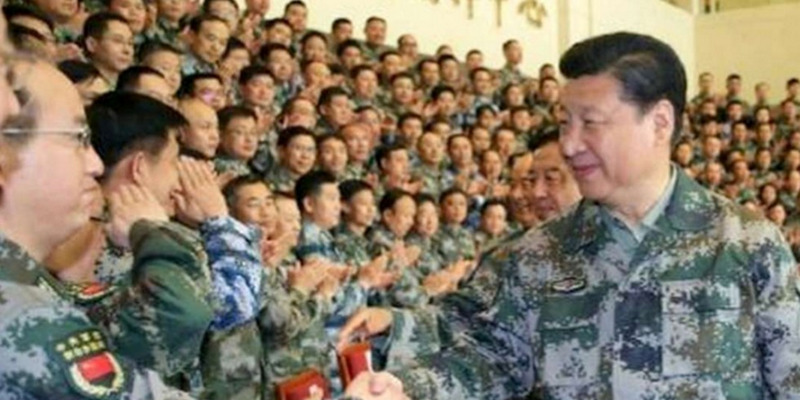 SCMP File PhotoXi Jinping wears a camouflage uniform at the PLA’s new joint operation command. China has planned to up its military spending by 8.1% in 2018 in an effort to modernise its armed forces. Defence spending has increased following Xi’s appointment as Commander-in-Chief in April 2016. Experts said Xi’s designation of Commander in Chief was symbolic and stressed his control over the country and its military power. China plans to increase its military spending by 8.1% in 2018 in an effort to modernise its armed forces. Beijing proposed spending 1.11 trillion yuan ($US175 billion) on its military, according to its budget report presented ahead of the opening of China’s 13th National People’s Congress on Monday, according to Reuters. China’s defence spending has increased following Xi’s appointment as Commander-in-Chief of the Joint Operations Command in April 2016. The budget grew 7.6% in 2016, and 7% in 2017. At the time he was appointed, experts said Xi’s designation as Commander in Chief stressed his control over the country and its military power. Xi has also pledged to modernise the army, promising to unveil a “world-class” armed forces by 2035.